Egypt’s President Abdel Fattah Al-Sisi announced a three-day nationwide mourning following the deaths of at least 309 people at Al-Rawda mosque in Egypt’s North Sinai. 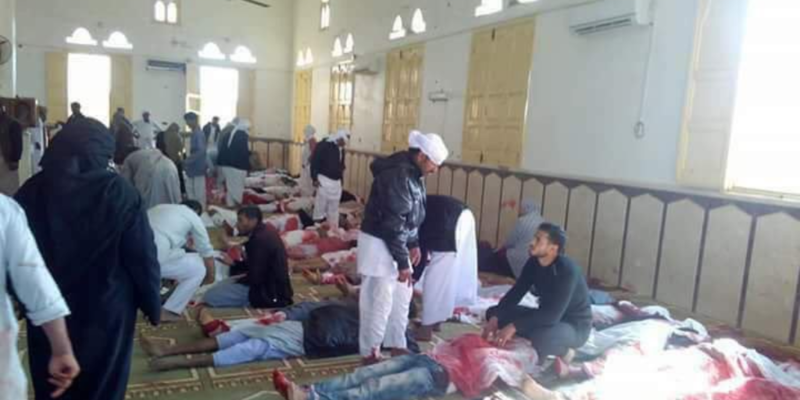 At least 309 people were reportedly killed and 109 injured when terrorists attacked the mosque in El-Arish’s western province. Reports indicate the terrorists used explosives and heavy weaponry in their attack on the mosque. According to eye-witnesses and paramedics, the terrorists attacked first responders as they arrived on the scene. Egypt’s President Sisi has not publicly commented on the attack. However, the Presidency’s office announced President Sisi is holding an emergency security meeting with top security officials in response to the attack. If the death toll is confirmed, this would be the deadliest attack by terrorists on civilians in Egypt in recent history. While terrorism in Egypt’s North Sinai increased following the ouster of former President Mohammed Morsi in July 2013, the majority of attacks targeted security forces.